Let’s face it guys, we want to look good while generally not going to great lengths to do so. Sometimes we want to look good to impress others, but more importantly we should do it to improve ourselves. One article of clothing that has made its way into America’s wardrobes that needs to be severely limited is the Performance Polo. A few decades ago, Polyester was dead, as dead as disco. It still worked great in fabric blends and had its niche uses great for hiking, sports shirts and more due to being lightweight and fast drying. Then, in the late ‘90’s, a company called Under Amour popped up on the scene aggressively pushing Polyester based fabric shirts for sports use. They worked great, and Under Armour’s rise since, along with major sports apparel companies following suit, meant that polyester based fabrics spilled out all over the apparel market. With fabric costs similar to cotton and other blends, the cost to make these “performance” apparel lines are similar, but because companies were able to advertise them as new and improved and as “performance” gear, they were able to initially sell these goods at a higher price than their cotton counterparts. As an avid athlete and outdoorsman, I have to say it’s nice having a wide selection of performance apparel available nowadays. You no longer look like a drowned rat from a long sweaty set on the court or an afternoon hike on a Sunday like you did with soaked cotton shirts. For certain professions, performance polos are a godsend. Electricians, roofers, plumbers, groundskeepers, and hundreds more professions that are working in hot, humid areas throughout the day can do so much more comfortably and still look composed when they chat with the customer afterwards. They don’t fit well. While this can be an issue with normal cotton polos, I feel like there are many more cuts and styles of performance polos. Companies try to create new styles every year, resulting in a wide variety of size and fit differences, even among well-known brands. They run. Within a few months, any polyester polo I get will inevitably become snagged and the thread begins to run. It’s fairly obvious and stands out and is hard to fix. The collars aren’t flattering. The collars generally flatten out wide, so make sure to find narrow collars. Cheaper weaves can also curl, and no amount of ironing (good luck with ironing polyester) will make them straight again. They’re rough. Yes, there are some particularly soft weaves, but the vast majority of polos are rough against your skin, and don’t feel that good. Now don’t get me wrong, I embrace rough when appropriate, but I’d prefer a soft cotton polo most times, say on a 5 hour flight. They aren’t particularly dressy. 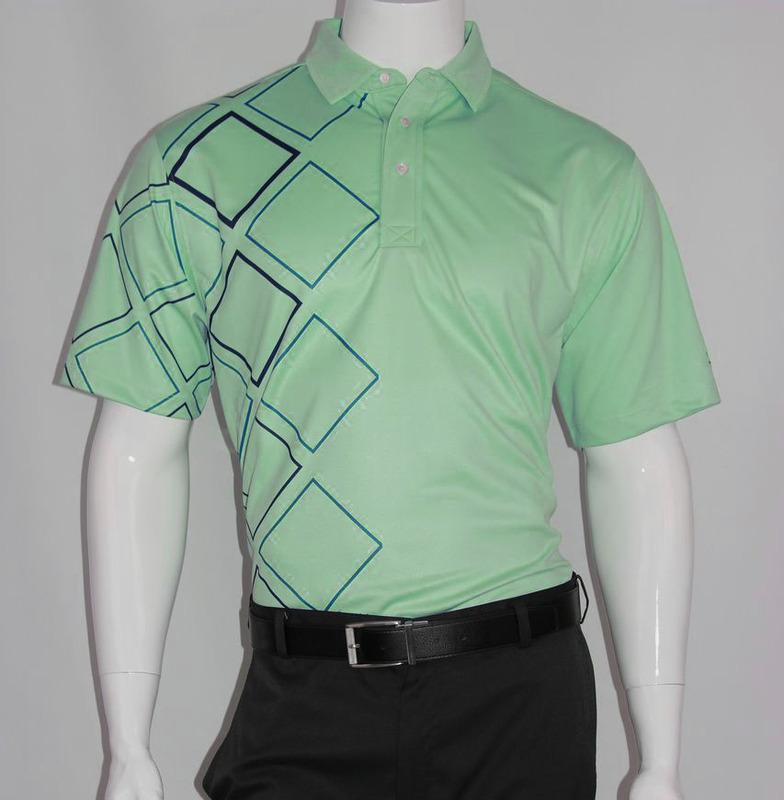 Look at virtually any fashion magazine – guys wearing polos in photo shoots aren’t wearing polos from their local golf shop. They’re wearing properly fitted cotton or mixed polos that don’t blind you when a bright light happens to shine on them. Most performance polos have logos, sports cuts, and look like a lazy man’s idea of dressing up. So fellas, if you’re interested in looking good in short-sleeve polos this summer, keep the polyester Performance Polos away unless you’re actually going to be sweating.